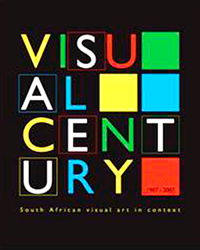 This was prepared for a panel discussion with the same title, held at the Centre for the Book, Cape Town, on 19 August 2010. The panel formed part of the “Beyond the Racial Lens” conference, which was itself part of the “Bonani 2010 Festival of Documentary Photography” convened by SAHO. Thembinkosi Goniwe and Kwezi Gule were also part of the panel, which was chaired by Farzanah Badsha. 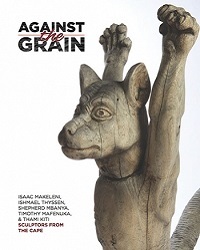 This was presented at a meeting of Africa.cont (www.africacont.org) held on 5 December 2009 at the Gulbenkian Foundation, Lisbon. It was prepared for a panel discussion that was intended to address the possibilities and limitations of Portugal as a location for Africa.cont. Alda Costa, Barthelemy Toguo and Paul Goodwin were also on this panel, which was chaired by Roger Meintjes. 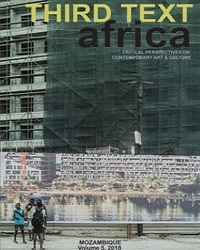 This was prepared for an AICA/Vansa seminar on art criticism in Africa, November 2007. 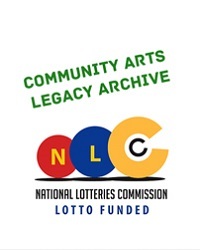 Sometime in the very early 90s the Johannesburg based Afrika Cultural Center invited and hosted Ngugi wa Mirrii, the Kenyan born, Zimbabwe based theatre for development practitioner. As the general secretary of the Cultural Workers Congress, western Cape, I took on the task of organizing a day-long itinerary for Ngugi so that he could meet with a range of community arts organization in Cape Town. One of the most memorable incidents occurred at the Community Arts Project, then located in Chapel Street, Woodstock. Ngugi, having been subjected to a series of presentations highlighting the lack of resources for NGOs said something to the effect that: “You South Africans don’t know how good you have it, in Zimbabwe we do most of our training outdoors under a tree”. Picasso and Africa: Are we asking the right questions? There is no doubt that Europe has stolen, and continues to steal from Africa. Thieves by nature do not usually disclose the sources of their wealth and therefore it is at times necessary to challenge and expose them. Personally I suspect that the Picasso & Africa exhibition attracted such high levels of interest and support on the part of our President and Minister of Arts & Culture precisely because here is one example where a case for Europe’s debt to Africa can be made. However I believe that centering the debate on the question of Picasso’s debt to Africa should not be the focus of our intellectual enquiry at this point in time. The title for this panel discussion should really be “connecting Africa ”. Certainly “reconnecting Africa ” is misleading if it implies that “ Africa ” was once connected, and that the restoration of this connection is currently on the agenda. A number of commentators, Ali Mazrui and Olu Oguibe (1993) among them, have made observations about the fictiveness of a united Africa, and how the term Africa has historically meant different things to different constituencies. Mazrui has argued that it was in fact western imperialism that inadvertently created the incentive for the notion of pan-Africanism to emerge, and pan-Africanism has been (and continues to be) more of an ideal than a reflection of actual relations between, on one hand, African countries; and on the other, between Africans on the continent and in the diaspora.